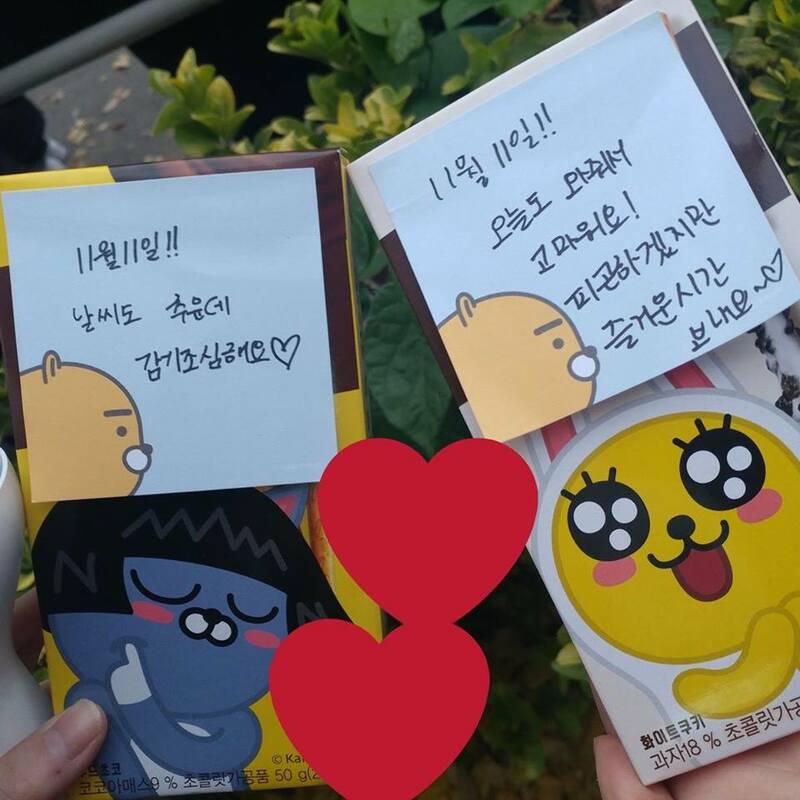 'Pepero Day' is held annually on November 11th, and is an observance in South Korea similar to Valentine's Day. 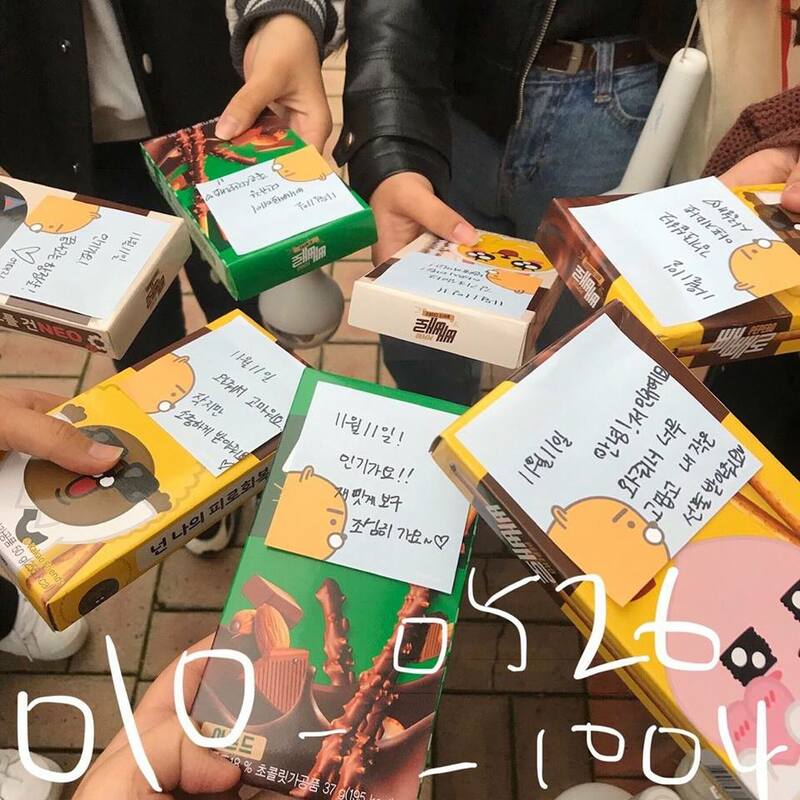 It involves the gifting or exchange of 'Pepero' snacks, a line of chocolate-dipped cookie sticks, with the intention of displaying affection for friends and loved ones. It is held on this day due to the resemblance of 'Pepero' sticks, which are vertical that mirror the shortened date of 11/11. 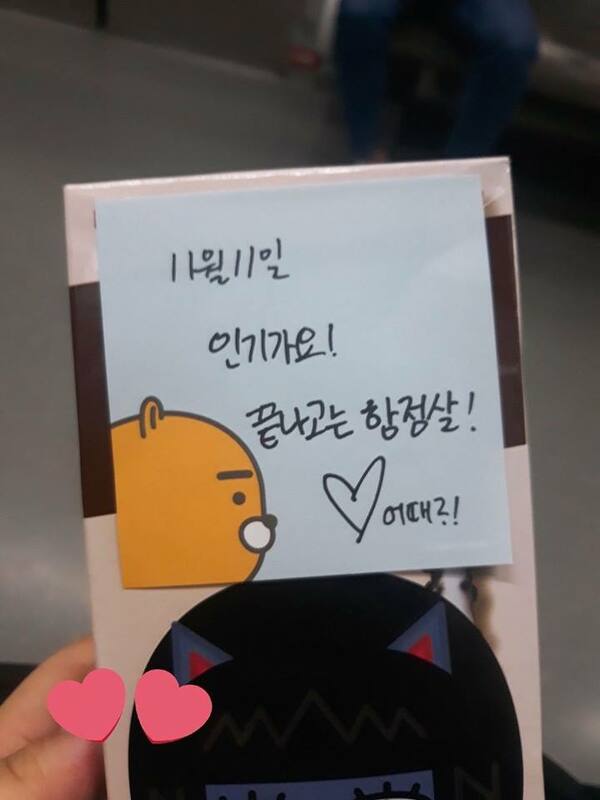 Along with the chocolate snacks, Mingyu wrote messages on the sticky notes, special for his beloved ones. 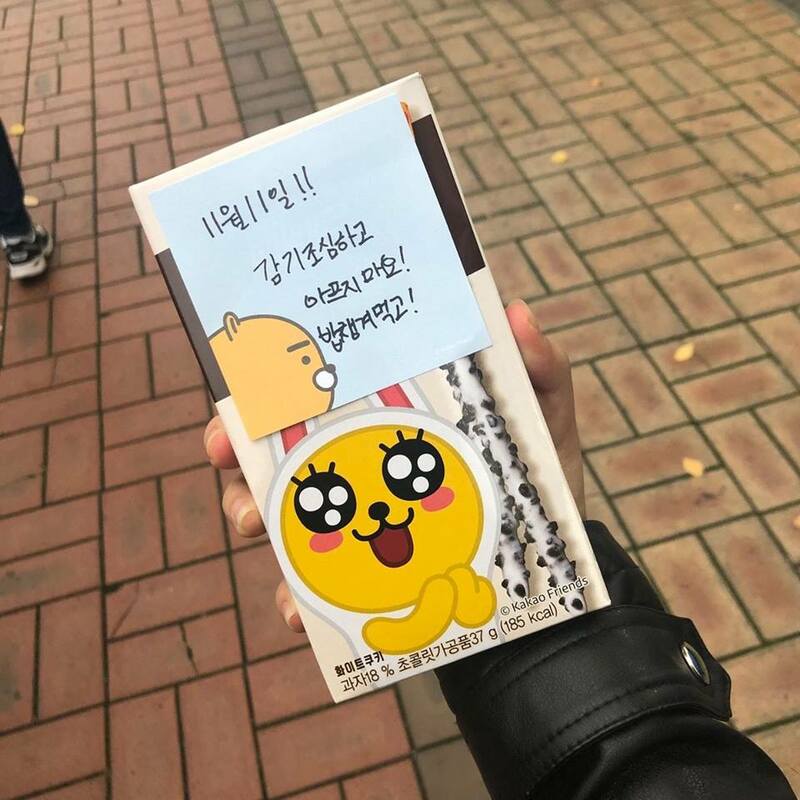 He wrote, "It's cold outside, be careful not to catch a cold," "Thank you for coming today, I think you must be tired but have some fun!," "Inkigayo! How about eating pork after it finishes?," "Be careful not to catch a cold and don't be sick! 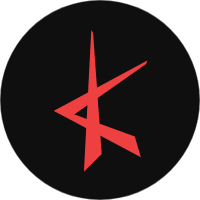 Eat well!," and more. 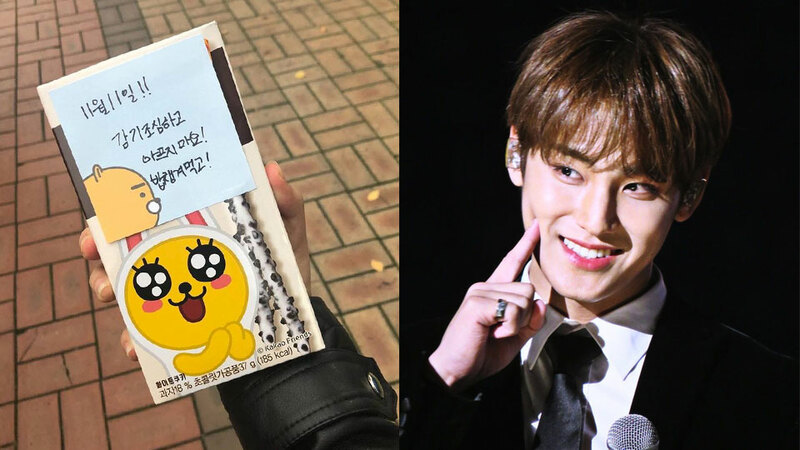 It seems like Mingyu is really considerate about his fans, isn't he?